“Iron Cowboy uses ZYTO technology to accomplish the seemingly impossible…” this is what we like to hear! At Stretch4Life we offer Zyto Scan Technology to help you stay at your peak performance levels. On Saturday July 25th James Lawrence (aka The Iron Cowboy), completed the final leg of a seemingly impossible goal – to run 50 triathlons in all 50 states in 50 consecutive days – surpassing his own previously held record in the Guinness Book of World Records. 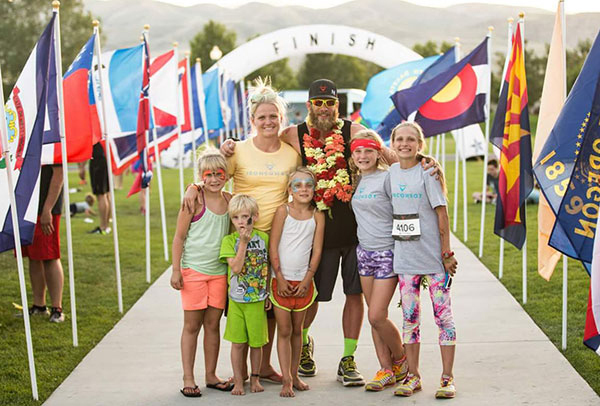 The Iron Cowboy started in Hawaii on June 6th and finished 50 days later at Thanksgiving Point in Utah. In addition to the incredible feat of completing 50 full triathlons, Lawrence and his team had the massive undertaking of coordinating and travelling to all 50 states. ZYTO is proud to have been a sponsor of the Iron Cowboy and to have been there as support on every leg of the journey. Furthermore, the Iron Cowboy relied on ZYTO technology – getting regular scans at the end of each race in order to stay on top of his game. The Iron Cowboy completed the race with hundreds of jubilant supporters, and even had over 200 local cyclists join him for the final 112 mile bike leg in Utah. With the express goal of raising awareness about childhood obesity, the Iron Cowboy has truly inspired all who have followed his incredible journey.